It's been a while since I wrote a Creativity 521 post so here's sharing something fun we did a while ago. It's not a craft session but more of a scientific experiment, one which I can assure you will bring lots of laughter and squeals - and the kids won't be able to get enough of it. Haha. 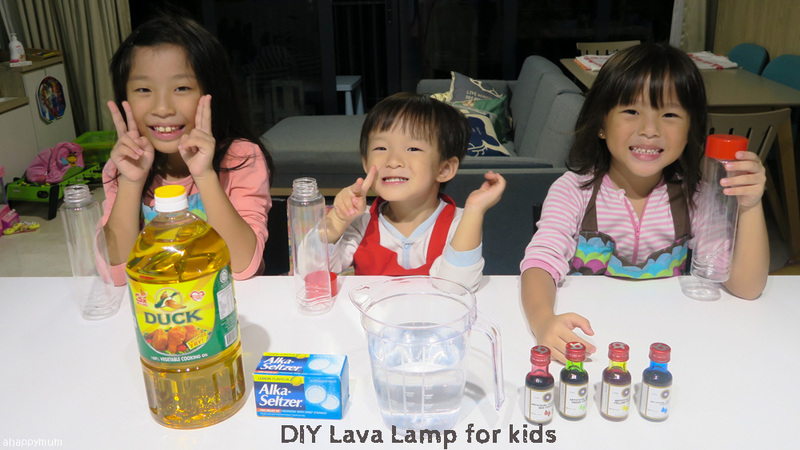 Yup, here's sharing more about our DIY Lava Lamps! 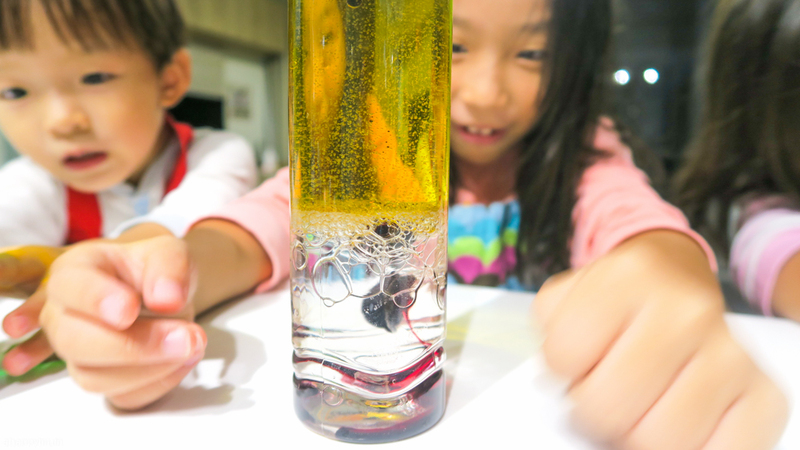 Right, it's not really a lamp that can light up but it does resemble the real one and the most important thing is kids can have fun while learning about how the scientific concept behind how these lamps work, which is a win-win situation in my view. The best part is you can keep the end products for future use because they don't spoil over time so you can use them as a reward on the good days or as a means to have some time to yourself on the bad ones. 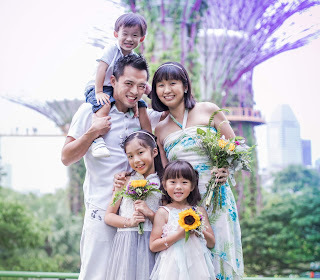 Read on to see how you can easily make one at home too! 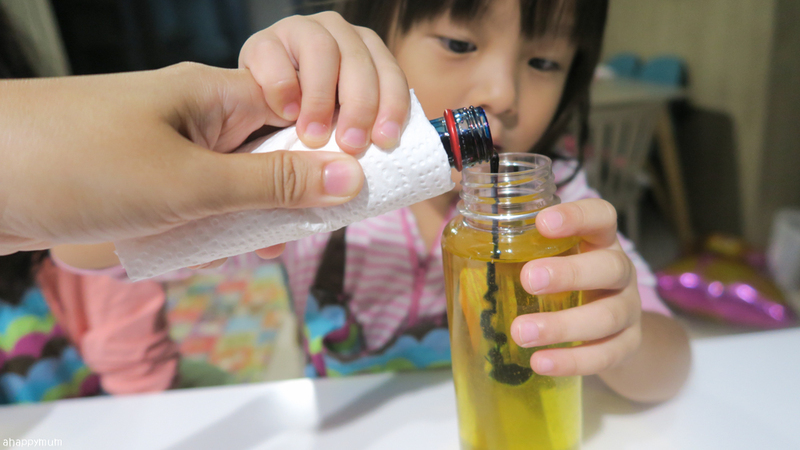 First, fill up the two thirds of the bottle using the oil. 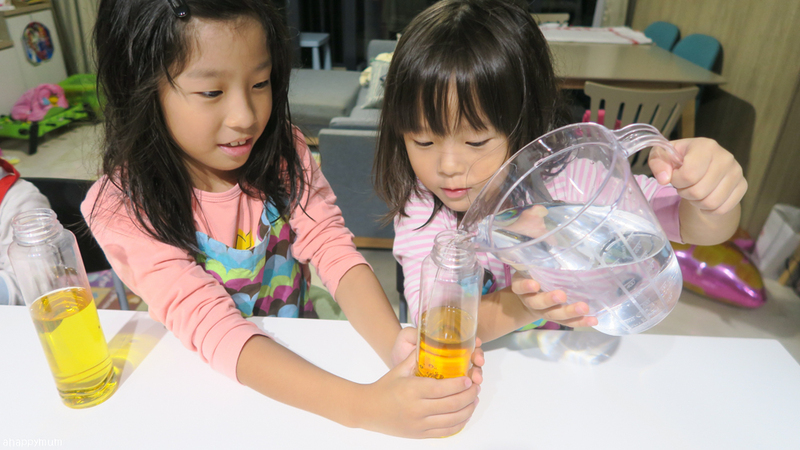 You can get the kids to help each other by holding the bottle in place. Next, fill up the remaining third with water. Leave a little gap at the top so as to prevent spills afterwards. 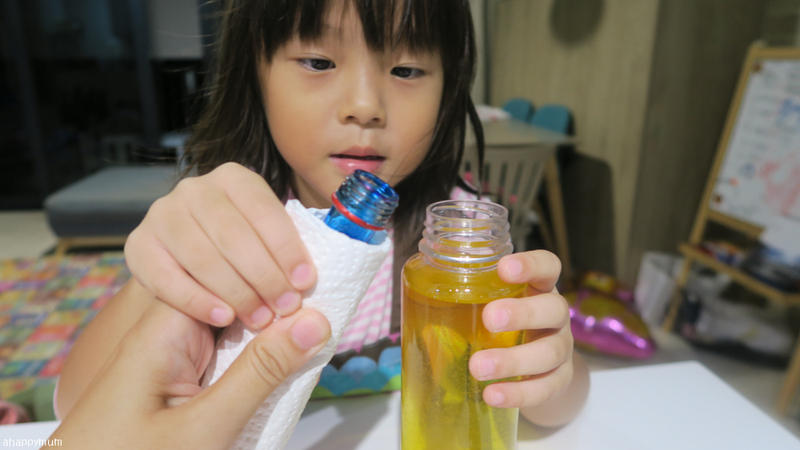 I personally prefer to ask the kids to put on the lids once the reaction happens because oil can be tough to clean up. While you wait for the water to sink to the bottom, you can explain to the kids about density and why it causes this to happen. This will take some time but it's fun to watch! 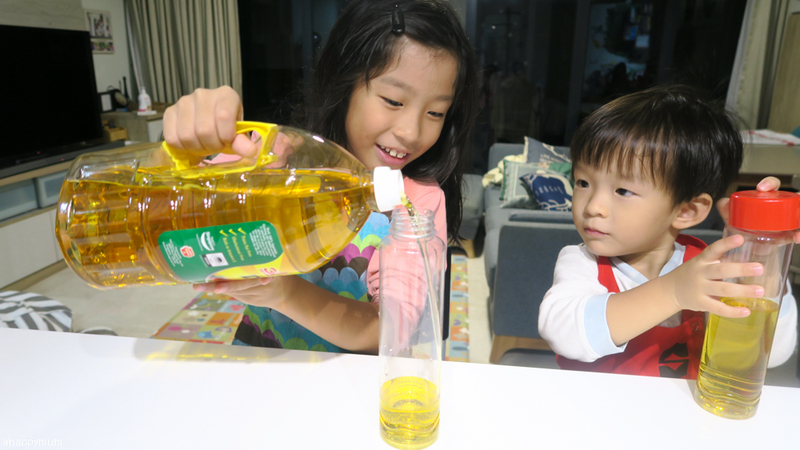 If you prefer to do it faster, you can add the water first followed by the oil. 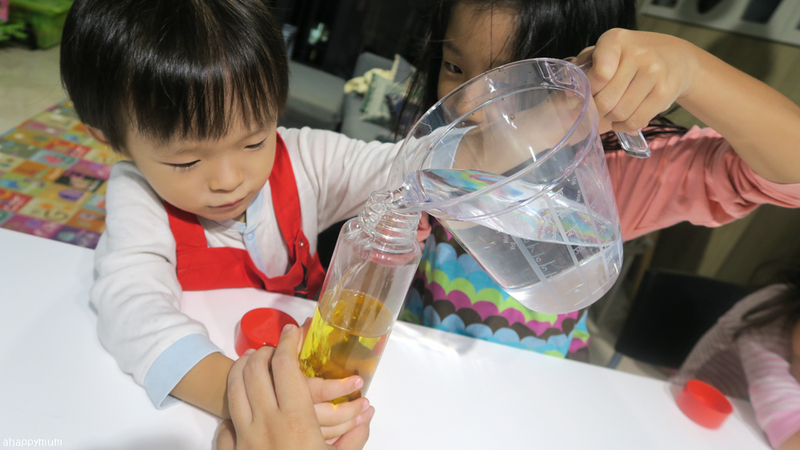 Let the kids choose their desired colour and carefully pour some food colouring into their bottles. The colouring will take a while to go through all the oil before it hits the water and mixes with it. Now for the last and more FUN part, add in a Alka Seltzer tablet and let the reaction begin! My kids love dropping in the tablets so we broke each of them into smaller pieces to prolong the fun. 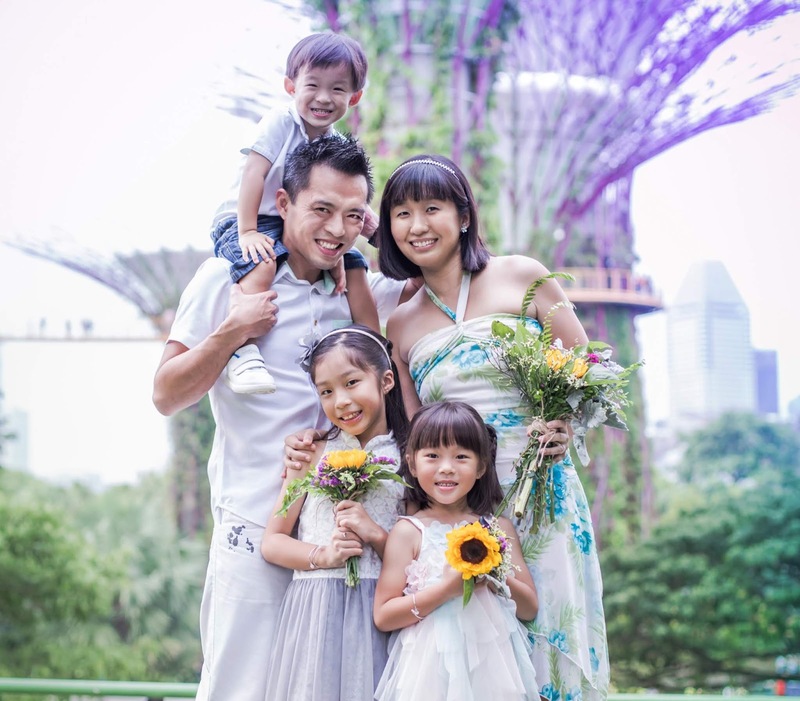 I can assure you that the eruption will definitely delight the kids again and again! Mine practically didn't want to stop. Haha. It's easier to show you than to tell you, so here's a video to see how it went! 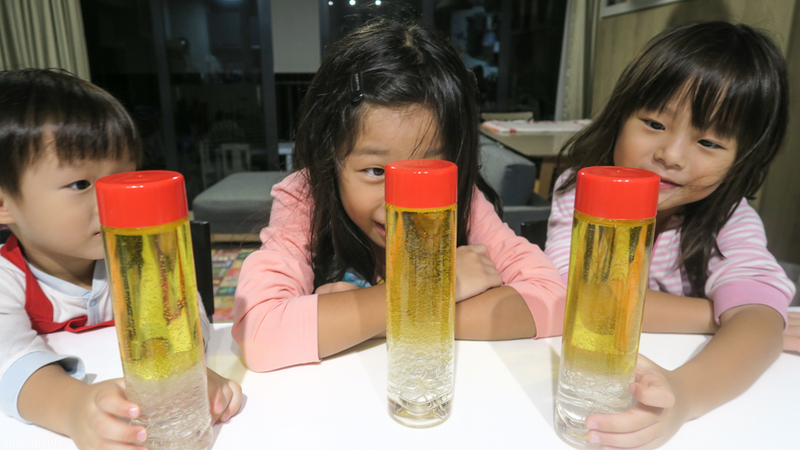 The oil floats on top of the water because it is less dense than water. 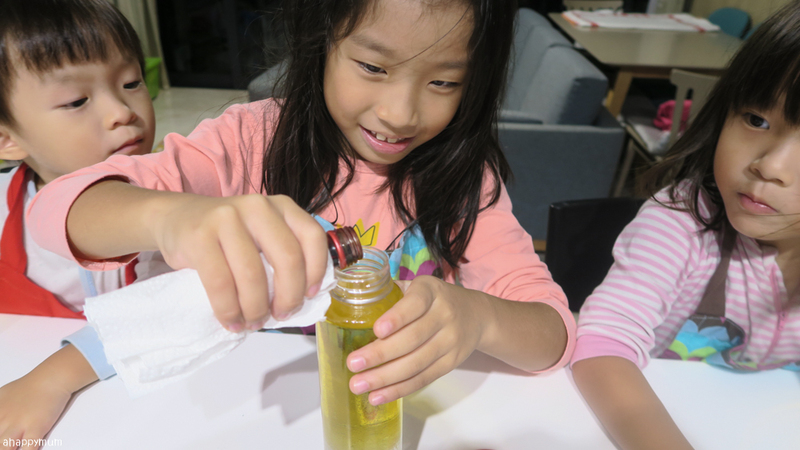 As the food coloring has the same density as water, it sinks through the oil and mixes with the water below. When an Alka Seltzer tablet is dropped in, it sinks to the bottom and begins to dissolve, giving out carbon dioxide which floats to the top. 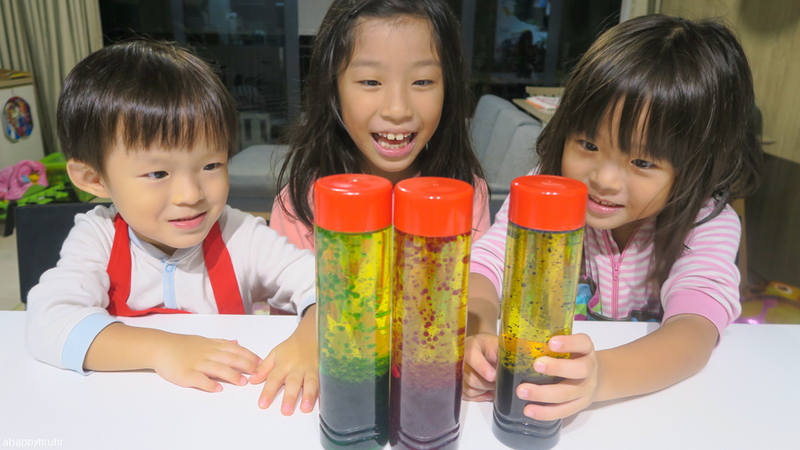 The air bubbles bring some coloured water with them to the top and when the air dissipates, the water sinks again. This is repeated until the tablet is entirely dissolved. The kids have been asking me when we can do this again so I have a feeling I will be taking out those bottles - which I've kept in our kitchen cabinet - pretty soon. Hopefully they can bring them the same amount of joy as they did the first time round! Have a go at making yours and let me know how it goes, okay?